Dorian and Jeff Bergen hosted the 10th anniversary celebration party for The Anyone Can Fly Foundation. The festive event at their ACA Gallery in Chelsea featured live music by Gia Williams and her band, great food by Spoonbread, and silent actions all for a great cause – to the raise the profile of great African American artists. Dorian and Jeff Bergen hosted the 10th anniversary celebration party for The Anyone Can Fly Foundation. The festive event at their ACA Gallery in Chelsea featured live music by Gia Williams and her band, great food by Spoonbread, and silent actions all for a great cause – to the raise the profile of great African American artists. 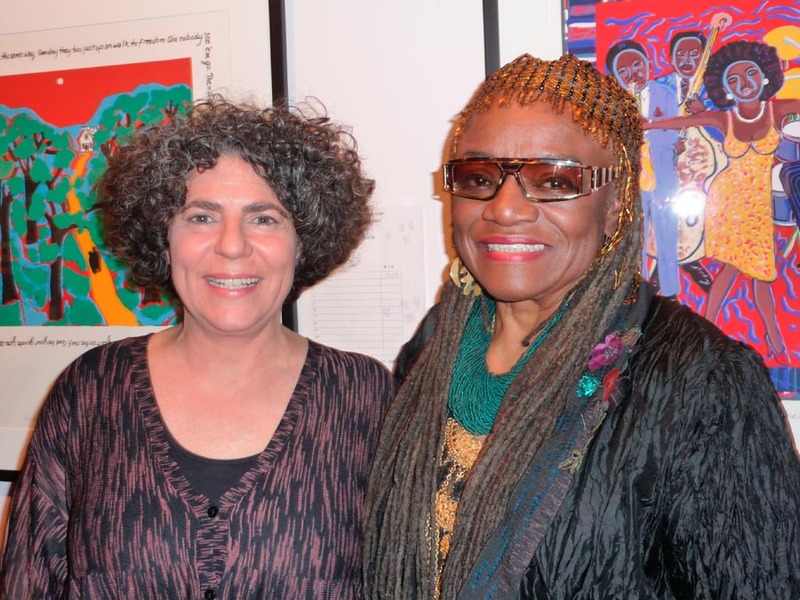 The work of renowned artist Faith Ringgold, who is the subject of many books on her multi-disciplinary approach to art and life, was a highlight of the exhibition. ACA Galleries opens a new exhibition Voices of Dissonance, A Survey of Political Art 1930-2008, on Saturday October 25 from 3-5 pm.